Your Jobsite will never be the same. 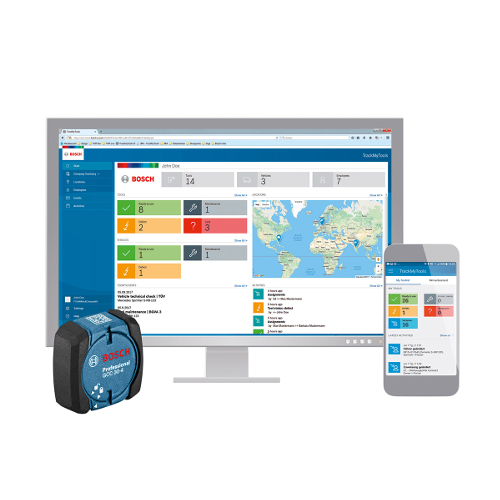 Bosch Bluehound is the premier asset management and tracking solution, boosting productivity and transparency from warehouse to jobsite. With the help of our web portal and mobile application, you can track, manage and localize your work assets at any time. Once Bluehound is set-up and tags are connected, the modules are assigned to your business. There is no overlap when two or more companies are working on the same site. Bluetooth® radius: 100ft (30 meters), depending on the environment. What key features are included in Bluehound? Can Bluehound only be used for Bosch Tools? No, Bluehound is an open system. 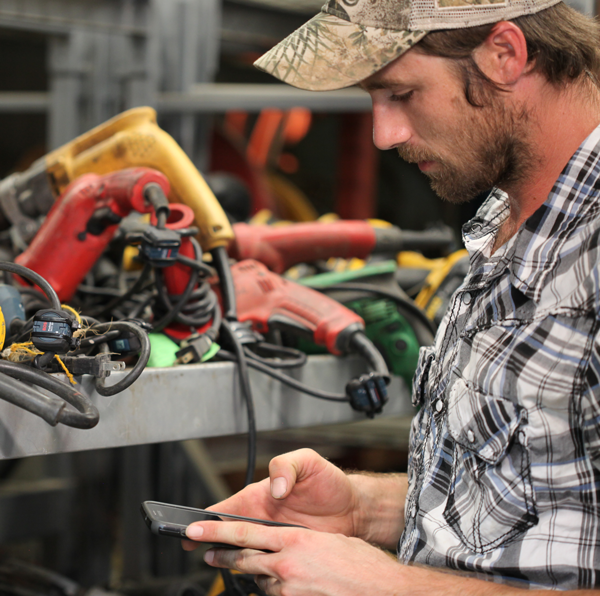 The Bluetooth® modules GCC 30-4 can be mounted on power tools, and all other work equipment from different manufacturers, registered as stock in the central cloud data storage and managed in the inventory management. What do I need for the unrestricted use of Bosch Bluehound? Bluehound contract through Bosch representative. What is the range of the Bluetooth® signal? Tests have shown that the Bluetooth® radius can be up to 100ft (30 meters), depending on the environment. The range depends on various factors such as the smartphone model or potential sources of interference in your current environment at the site and in the workshop. Can the signal of the GCC 30-4 Professional be received by any mobile device? The Bluetooth® signal of the GCC 30-4 Professional can only be received by smartphones with Bluehound Mobile application installed. Does the mobile application show me how far away I am from the searched item? 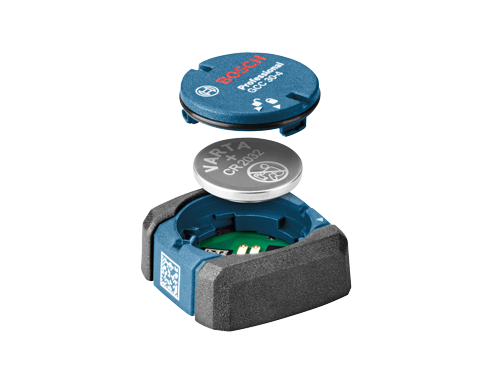 Via Bluetooth®, we can use the signal strength (RSSI) to make a rough and relative assessment of the distance of individual Bluetooth® modules within the web or mobile app.